When heading to Northern Cambodia, most tourists decide only to visit Siem Reap. 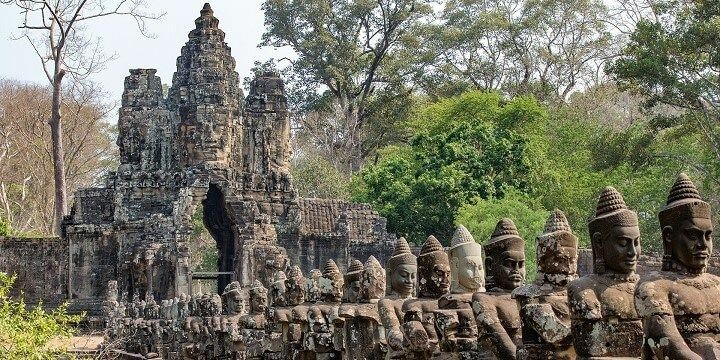 Home to the well-known Angkor Wat Temple, and vibrant nightlife scene on its Pub Street, this city certainly deserves its popularity; however, there are plenty of other beautiful, and much quieter, destinations that are well-worth checking out in this region. The Angkor Wat Temples in Siem Reap are famous all around the world. Northern Cambodia has many more temple ruins to see than the world-famous Angkor Temples. Travel just two hours from Siem Reap to find Banteay Chhmar, a huge, 12th century temple complex in the Banteay Meanchey district. Owing to its remote location, Banteay Chhmar is much more peaceful than the Angkor Temples. Its lack of visitors, however, also means that less research has been undertaken to discover more about the site’s history, and that there has been far less funding for its maintenance. Preah Vihear, located near the Thai border, is also a must-see. This Hindu temple complex is located on a cliff top, meaning that it not only offers a fascinating insight into Cambodia’s history, but also unforgettable views over the country. The only two lakes in Cambodia are located in the North, making the region perfect for nature lovers. Just a short drive from Siem Reap will take you to Tonle Sap, Southeast Asia’s largest freshwater lake, with multiple species of fish and bird, as well as entire floating villages. 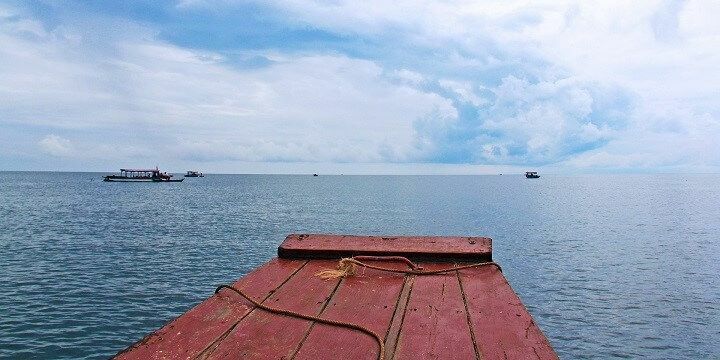 Tonle Sap Lake is southeast Asia’s largest freshwater lake. Alternatively, check out Yeak Loam in Ratanakiri. With a diameter of 800 meters, this beautifully clear lake, formed from a volcanic crater, is perfect for swimmers, or those who simply want to relax in the hot Cambodian sun. Close to Mondulkiri, you’ll find two spectacular waterfalls. The Bou Sra Waterfall has three stages, though visitors can only reach the second, owing to thick forests and a lack of safe, marked paths. As with all of Southeast Asia’s waterfalls, the best time to visit is in the rainy season, when the second stage of Bou Sra is 20 meters high and wide. Monorum Waterfall is much more challenging to get to than Bou Sra, but it’s definitely worth the bumpy ride. Like Bou Sra, Monorum has three incredible levels, located fairly close together. The most popular spot for nature lovers in Northern Cambodia is Phnom Kulen National Park, located just two hours from Siem Reap. While this park’s waterfalls and archaeological sites are well-worth seeing, Virachey National Park in Ratanakiri is much more impressive. Stretching over 3,000 square kilometers, this enormous park is home to a huge range of wildlife, including elephants, leopards, bears, and gibbons. If you want to visit Virachey, you’ll have to contact the Virachey National Park Eco-Tourism Information Center: you can only trek around the park as part of an organized tour, owing to constant threats from the logging industry. If NextStop24 helped you to choose your next travel destination, we'd be very grateful if you’d search for your accommodation and things to do in Cambodia through these links. They're affiliate links, which means that we will receive a small commission for every booking made through them. There are no extra costs for you; you'll simply be helping to keep NextStop24 running. Thanks! Much quieter than other parts of Cambodia, but nonetheless worth visiting for beautiful landscapes and nature.